“A vivid and compelling page-turner” – judges’ comments. 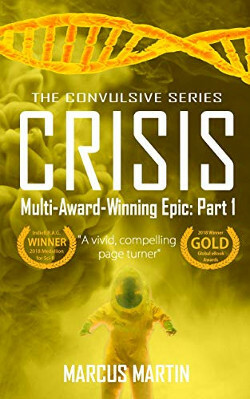 CRISIS won gold at the 2018 Global eBook Awards, bronze at the Reader’s Favorite Awards, and received a coveted IndieB.R.A.G. Medallion for sci-fi. For fans of I am Legend and The Road comes CRISIS, a gritty, dystopian thriller by Marcus Martin. When space freighter pilot Calen Macleef accidentally wins Larissa “Bit” Earnest in a lucky hand of poker, his main concern is what his gruff and uncompromising brother Jack will say about it. Jack Macleef is the captain of the ship in a world where space travel has only recently become the norm and space piracy abounds. Klondaeg is the self-declared world’s greatest monster hunter. 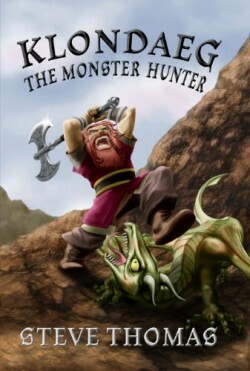 Armed with a bickering battle-axe with a split personality, he rampages through the countryside in a tireless quest to avenge his parents and slay every monster that crosses his path, is visible from his path, or even leers in the general direction of his path. Join Klondaeg on five madcap adventures, full of werewolf garden gnomes, geriatric heroes, steam-powered spaceships, conveniently timed flashbacks, and battles with cave rats and demons alike. Monsters beware! Klondaeg is on the hunt. 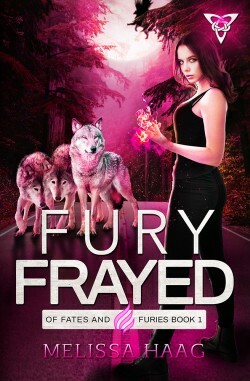 Raised to believe she’s human, Megan never suspects her temper might be due to something more until she finds herself at Girderon Academy, a school for mythological creatures. Now time is running out to discover who and what she is because humans are dying and all clues point to her. Three gods cast out of the Unseen World, condemned to make their way in this universe as best they can. 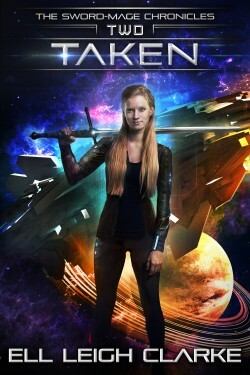 When Bentley discovers she has incredible swordsmanship, she wonders if her problems are over. After all, if she can fend for herself, why hang out with three exiled gods in constant moral crisis? Unfortunately, any thoughts of change are forgotten when the crew find themselves being chased across the sector by Amroth and his army. Will they figure out how he’s tracking them? Will they manage to protect Bentley and the sword? Will Bentley discover who she really is? 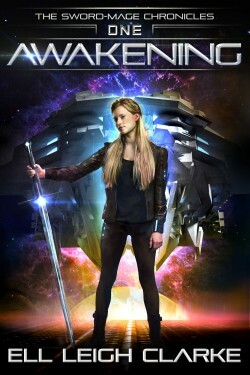 This is book 2 in The Sword-Mage Chronicles. If you like your sci-fi witty and every now and again a little ‘off the wall’, you’ll love this original series, from the best-selling author of The Ascension Myth.